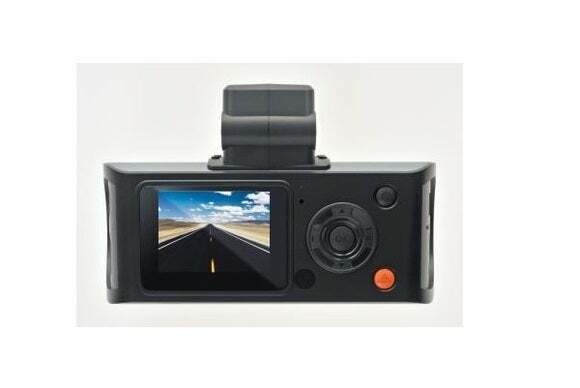 This little dash cam takes impressively good video. Outside of a slightly ill-fitting plastic mounting bracket, the CDR 840 was a pleasure to use. It takes excellent 1080/30fps video and has integrated GPS. Even better, unlike the equally-priced (at discount) KDLinks X1, and other dash cams we've reviewed, it automatically grabs the date and time from the satellite. That means there can be no questioning the veracity of that information. It’s also easier than setting the time yourself. The Cobra CDR 840 dashcam has a pretty wide, 118-degree field of view and takes crisp HD video. The CDR 840 offers mini-HDMI and mini-USB ports for direct video output and off-loading of files to your PC, but power is supplied via a separate power jack. Other units, like the CDR 900, draw their power from mini- or micro-USB ports. Either way you wind up with one cable to the device, but USB is easier to replace. The CDR 840 uses a four-way rocker control with a button in the middle for navigating the interface on its smallish 1.5-inch display. Traversing the menus is relatively easy, but with a display this small, you’re a lot better off removing it from the windshield and holding it close to you. The upside to the small display is that it’s less distracting, though the CDR 840 as a whole isn’t particularly tiny. 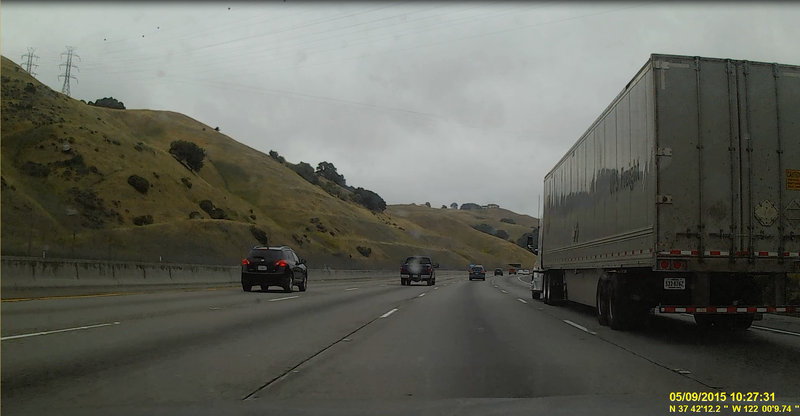 The Cobra CDR 840 dashcam's night video looks dark when viewed live on the camera, but I was able to pump up the quality after the fact with video editing software. The daytime video produced by the CDR 840 was a bit dark before I adjusted the exposure settings. Even after tweaking, the night video appeared very dark when viewed live on the camera. Perhaps I missed something, because when I pumped up the playback brightness (using MPC-HC on a Windows PC) all the detail was there. 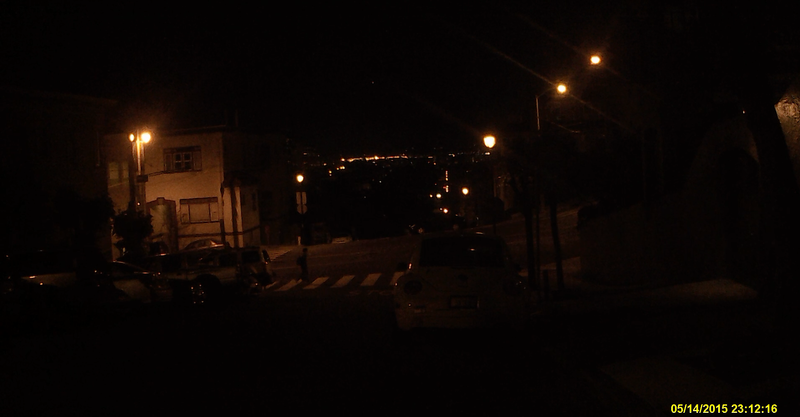 In the end, when enhanced during playback, the night video is as good as anything I’ve seen from a dash cam. The CDR 840 isn’t the sexiest dash cam, but it’s strong in all the basics. The bells and whistles in the more expensive units are largely distractions I could do without. The integrated GPS and wide field of view makes this affordable dashcam an attractive deal, despite a few design deficiencies.